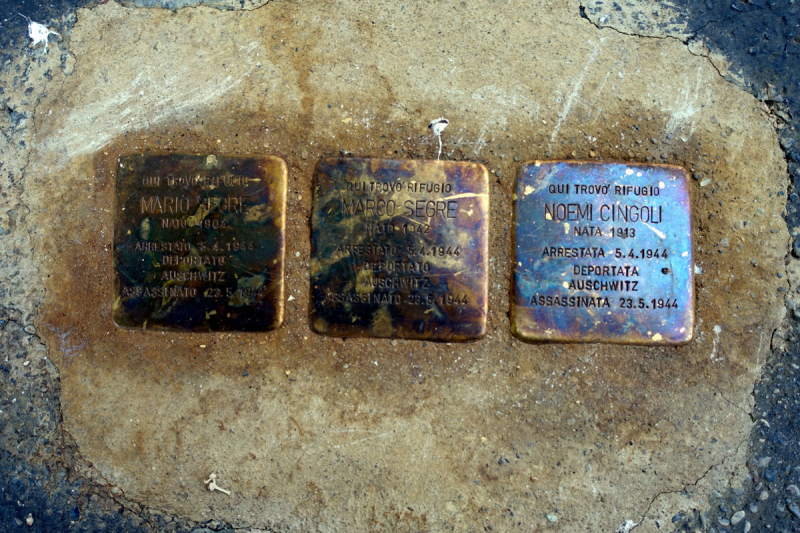 A Stolperstein, literally "stumbling stone" ("Pietra d'inciampo" in italian), metaphorically a "stumbling block" is a sett-size, 10 by 10 centimetres (3.9 in × 3.9 in) concrete cube bearing a brass plate inscribed with the name and life dates of victims of Nazi extermination or persecution. 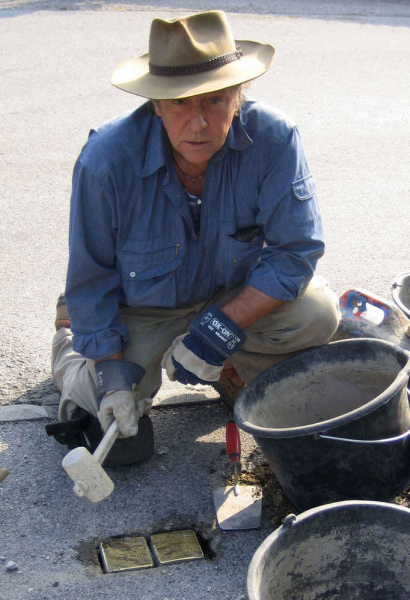 The Stolpersteine project, initiated by the German artist Gunter Demnig in 1992, aims to commemorate individuals at exactly the last place of residency—or, sometimes, work—which was freely chosen by the person before he or she fell victim to Nazi terror, euthanasia, eugenics, was deported to a concentration or extermination camp, or escaped persecution by emigration or suicide. As of 23 October 2018, 70,000 Stolpersteine have been laid in more than 1200 cities, making the Stolpersteine project the world's largest decentralized memorial. The majority of Stolpersteine commemorate Jewish victims of the Holocaust. Others have been placed for Sinti and Romani people, homosexuals, the physically or mentally disabled, Jehovah's Witnesses, Mormons, black people, members of the Communist Party, the Social Democratic Party, and the anti-Nazi Resistance, the Christian opposition (both Protestants and Catholics), and Freemasons, along with International Brigade soldiers in the Spanish Civil War, military deserters, conscientious objectors, escape helpers, capitulators, "habitual criminals", looters, and others charged with treason, military disobedience, or undermining the Nazi military, as well as Allied soldiers.